Getting buy-in to rollout out marketing automation at Adelaide University has been the easy part; it’s getting disparate marketing teams and departments to unite under one customer experience strategy that’s the big challenge, its CX manager says. Adelaide University is one of many tertiary institutions across Australia turning to technology tools such as marketing automation and CRM, as catalysts for a wider transformation of student conversion and engagement strategy. The decision followed a two-year restructure aimed at delivering better operational efficiencies as well as uniting the way Adelaide Uni manages admission and student recruitment. Customer experience manager, Catherine Cherry, who previously ran CRM design for customer acquisition and is now tasked with driving conversion strategy across the institution, told CMO her new division is looking to transform acquisition using technology. “Our executive group is interested in this idea of digital disruption and new innovations,” she said. “We’re not traditionally a fast-moving institution. We’re 140 years old, and low on the CX and digital maturity curve. The goal is to realign marketing, digital strategy and capability based on customer needs, Cherry said. Her team’s remit include all customer acquisition across undergraduate and post graduate, domestic and international. “In some respects, I think there is less work to be done once you start looking at things from a customer perspective, as opposed to looking internally, where we’re very good at generating lots of busy work without actually focusing on whether it’s important to the customer or not,” she commented. “We’re trying to understand what the customer wants from us in that digital experience. Things like self-service, and calculators for ATAR results, for example. Adelaide Uni began looking at how it could extend its CRM platform to student acquisition in early 2016. That’s when the idea of marketing automation materialised. Already an Oracle Service Cloud customer, it made sense to go with the vendor’s Eloqua solution, Cherry said. “We have 900 other applications but no martech ones. We’re not trying to undo a bunch of things, which in some ways is great,” she said. “We knew we were restructuring with the intent to bring in nurturing and conversion, we knew it would be a small team, and we knew that small team wouldn’t be able to scale anything without a tool that could take up some of that grunt work. Cherry’s team features four staff and will eventually be manned by six people. “That’s all there is going to be to nurture 70,000-odd students,” she added. 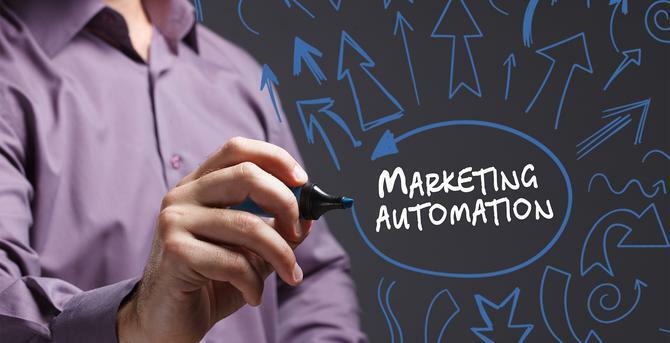 All too often, marketers looking to take advantage of martech innovations such as marketing automation have struggled to make a business case for investment dollars. But at Adelaide Uni, Cherry said it’s been easier to get investment than it is to deliver the second part of the strategy: Cultural change. “We definitely know we want to do these things – we know it’s a good idea and we’re willing to invest,” she said, adding the CIO was a big supporter of the investment. “It’s when we reveal what it’s going to take that it gets rocky. Instituting change is difficult when you have 70 marketing staff distributed across 10 business units, Cherry said. “It’s a lot of stakeholders to get in the room, and on the same page, especially when we operate in silos and with 10 different strategies,” she said. Faced with such an education challenge around customer experience excellence, Cherry’s team kicked off a ‘CX day’ workshop featuring industry experts, where marketing staff, executives and front-line services engaged in CX activities and were encouraged to adopt a design thinking approach. Front-line service historically hadn’t been seen as part of customer experience, either, another aspect Cherry is trying to change. With the marketing automation plug about to go into the socket, Adelaide Uni’s first priority is improving the undergraduate nurturing experience. Cherry said the basic starting point is welcoming people. Cherry said the team is then looking to build profiles, learn more about customers, gather and analyse “digital body language data”, as well as provide more self-service capabilities. “We are completely redesigning our international Web presence – at the moment it really isn’t geared to serving prospects at all, and we’re going to bring in UX testing,” she said. “We’re also trying to build out our knowledge base so it can both feed our nurturing strategy for EDMs as well as service. Through all of this, two skillsets the uni hasn’t traditionally focused on but needs to are data analysis and content production, Cherry said. It’s also vital to bring in customer feedback. As well as insights gathered via Eloqua, one way Adelaide Uni looks to gather more instant feedback is via two-way SMS around specific events and touchpoints. In addition, existing feedback in the knowledge base, surveys and EDMs are all on the cards. Nadia Cameron travelled to Oracle Modern CX Summit in Las Vegas as a guest of Oracle.